Today Oct 11 has been declared the first-ever International Day of the Girl, and in an interview with Yahoo, the American first lady talked about her hopes for her own daughters. 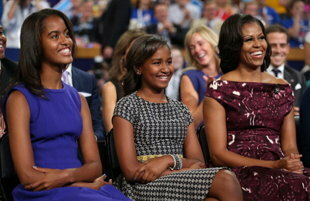 When it comes to raising her girls, Michelle Obama says that she's much like any other parent. "I would support my girls in doing anything they want to do," Mrs. Obama said. 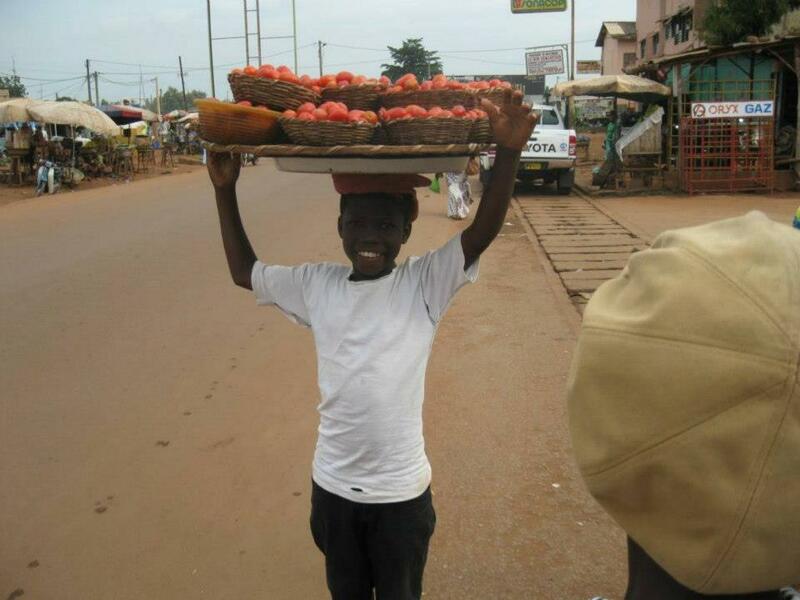 "I always encourage them to think about your passion, think about your gifts. Don't think about what your dad does, what somebody else wants you to do. If it's politics, if it's serving in the military, if it's being a stay-at-home mom, I just want them to have the confidence in whatever choice they make." She doesn't want them -- or any child -- to limit themselves to only the things they're interested in or good at right now, she said. "Keep yourself wide open," she said. "You don't know who you'll be at 24, or 44. We're different every decade." Grades are important, but experiences are even more so. "I find myself telling Malia 'Do not become a box checker.' If you're putting your best in, don't worry about the A. Because you might get a C taking a course that you're really going to grow in," she said. If kids are only taking courses they're good at, "Then the education we've fought for becomes confining instead of liberating." Having grown up in an era when it was difficult to be smart, black, and female, she relishes the opportunity her daughters have to embrace their education. "When I went to school, being smart in a public school was dangerous. I mean truly. 'You talk like a white girl.' 'Who do you think you are, with grades? '," she recalled. "You had to be sneaky-smart, because you had to get home safe from school." "I tell them how fortunate they are to be able to fully celebrate their intellectual beings," the first lady continued. "You can love Shakespeare and talk about Toni Morrison and you can correct vocabulary. You can just be whoever you want to be because you've got that freedom. So enjoy it. Don't waste it. Don't confine yourself. And hopefully that extends to how they think about their careers and themselves and the world." Girls these days have many more options than they did just a generation ago. "The one thing that I'm really an advocate for these days is making sure that my girls, and girls in general, know that they can have a broader definition of who they can be," she said. "If you find that person that you love, and you want to get married and you want to have kids, great. If you don't, you know, I don't want you to be that person who spends a lifetime with somebody that they don't love because they think that they should." To mark this first day of the Girl, the Plan has launched an international campaign called “Because I am A Girl". The Plan is a children’s development organization that works in 50 countries across Africa, Asia and the Americas to promote child rights and lift millions of children out of poverty. In an article on BlogHer, Beth Kanter answers an oft-asked question, Why girls? Why is this all important? Globally, one in three girls around the world is denied an education by the daily realities of poverty, violence, and discrimination. Every day, girls are taken out of school, married far too young, and subjected to violence in school. Not only is this unjust, it's also a huge waste of potential with serious global consequences. Millions of girls are being denied an education right at a time when learning has the power to transform their lives and the world around them. Making it through both primary and secondary education is critical for girls to be able to break the cycle of poverty. ...less likely to experience violence, or to marry and have children while she is still a child. ...more likely to be literate, healthy, and survive into adulthood, as are her children. ...more likely to reinvest her income back into her family, community, and country. ...more likely to understand her rights and be a force for change. 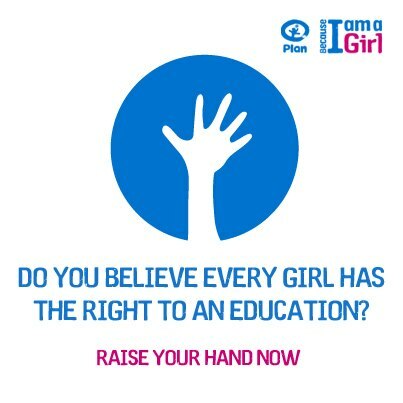 If you want to raise your hands, log into facebook and support Plan's campaign to give education to girls across the world.